26 – 27 April 2016, Kigali – Carbon Africa played a crucial role is supporting the delivery of a successful two day training workshop organized by the Rwanda Environment and Management Authority (REMA), UNFCCC Regional Collaboration Centre Kampala, East African Development Bank and GIZ. 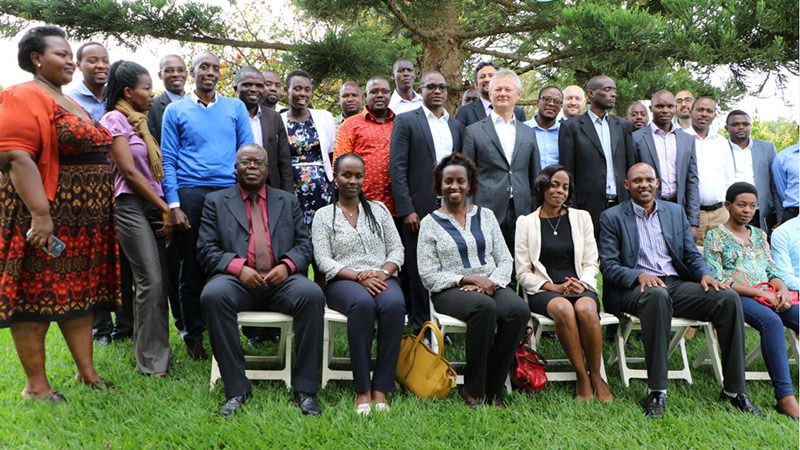 The workshop attracted a wide range of stakeholders including Rwandan government officials, private sector investors, CDM project developers, and other active stakeholders in the climate mitigation space in Rwanda. Key among the multiple objectives of the workshop included sharing experiences on the CDM development process, the development and application of standardized baselines as a tool for Monitoring Reporting and Verification (MRV) of mitigation actions including CDM projects, Programme of Activities (PoAs), Nationally Appropriate Mitigation Actions (NAMAs) and Nationally Determined Contributions (NDCs). Carbon Africa used the platform to share the firms belief that the CDM infrastructure and the existing activity pipeline can act as key pieces in the jigsaw of enhanced scaled-up mitigation actions under the Paris Agreement. Carbon Africa noted that the wealth of built up expertise on baseline setting, MRV, and the application of ready-to-cancel internationally recognized offsets puts the CDM in a prime position. The CDM pipeline of projects and PoAs presents a portfolio of quality pre-screened projects on which significant investments have been made and with many barriers to entry such as government permits and approval already overcome. They therefore provide an excellent opportunity for fast movers to quickly bring these projects to completion through accessing emerging sources of climate finance such as through the Green Climate Fund (GCF). For more information about this topic please don’t hesitate to contact us, info@cabonafrica.co.ke.